The Immigration Reform and Control Act (IRCA) of 1986 requires all employers in the U.S. to complete a Form I-9 when hiring a new employee to work in the United States. The purpose of the Form I-9 is to verify that a new hire is authorized to work in the United States. Historically, this process depended solely on the inspection of approved documents provided by the employee. There was no way of knowing for sure whether or not someone had proper authorization to work in the U.S. In the late 1990s, a basic pilot program was initiated in order to prevent those without authorization from obtaining employment. That pilot program is what we know today as E-Verify. 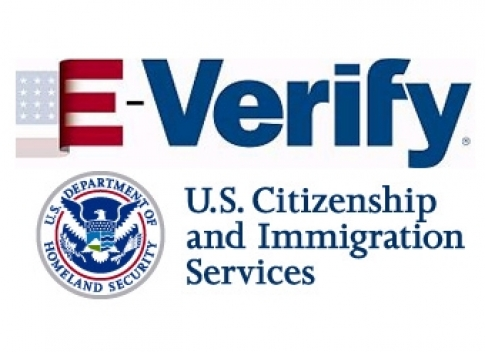 Although it has been suggested by the current administration that E-Verify should be required of all employers, at the federal level, E-Verify is voluntary for companies that do not have federal contracts or subcontracts. At the state level, almost half have enacted legislation requiring the use of E-Verify to varying degrees. 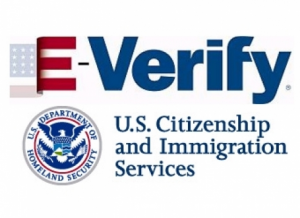 With the drastic increase in Immigration and Customs Enforcement (ICE) worksite enforcement actions, including Form I-9 audits, many employers choose to use E-Verify as a safeguard against hiring unauthorized workers. Additionally, since its inception E-Verify has shown many improvements including an updated user interface and more reliable data. Someone in the company (ideally more than one person) must be trained in E-Verify compliance. For employers who want or have to implement E-Verify into the hiring process, it takes a commitment which could require some additional resources for certain companies depending on the circumstances. It may be an issue you want to start thinking about now. Given the position of the current administration, it’s feasible that E-Verify may become mandatory in the not-so-distant future. Click HERE to learn more about E-Verify as well as your state requirements.